What is the process for hiring a Lawyer in Nursing Home case? Do you suspect abuse or neglect at the nursing home where your loved one stays? How do you know if you have a lawsuit? In this video, Oklahoma City attorney Travis Charles Smith explains the process for hiring a lawyer in a nursing home case. He explains the process of setting up the appointment (Free of charge), obtaining the medical records, screening the case with a medical expert, and getting back to the client in a timely fashion. Nursing home cases can be complex. The consideration alone of hiring a lawyer can be intimidating. First, Travis explains that consultations are free. Simply call us by phone at (405) 701-6016, contact us through the website or send an email to Travis’s assistant, Flor Moncayo, to flor@travischarlessmith.com to schedule an appointment. There is only so much we can discuss over the phone, so we strongly encourage face-to-face meetings. However, if circumstances prevent you from coming to our office, Travis is available for home visits, as well. Just get ahold of us and we will schedule the appointment, whether at the office or at your home. Meeting together is just the first step in the process of taking a nursing home abuse/neglect case. The next step is obtaining the medical records. This can take some time, but we have an excellent team that will be requesting the medical records and following up with the doctors and hospitals to avoid any delays. We need the medical records so that we can review them with our experts to determine if there has been a breach of professional standards and whether you have a legal claim. What happens to your medical records once we get them? Your privacy and confidentiality will be carefully protected. When we receive the medical records, they will be scanned into our computer system, and you can request a paper copy or electronic copy whenever you want. 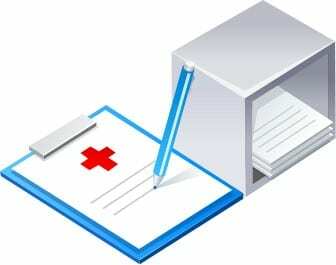 We are here to serve you, so please don’t hesitate to ask if you would like a copy of your medical records. Our team will be on contact with you as soon as we receive your medical records. In the meantime, if you have any questions or just want a status report, you can always feel free to call or email us. Here’s what happens next. We will review your records and compare them to the information you provided to us about your case. We may consult with an expert in this area, to assist in reviewing the case. After I complete the review of your potential case, I will contact you to discuss our evaluation of you case. The review of your case may take a little time, so we will appreciate your patience. Some cases are more complicated than others, so you may not get an immediate answer about your case. If that happens, just call or email us for an update. One we have completed our review of the records, we will contact you to set up a meeting to discuss the case. Again, we can meet with you at your home or at our office, depending on the circumstances. When we accept a case, we are on a mission: get as much compensation as possible for the client, and do it as quickly as possible. I run a tight ship, and push cases as fast as possible to trial. In order to do this, I must have all the medical records and everything else I need to prove the case. If its something I can’t get prior to filing the lawsuit, I will definitely obtain it during discovery phase of the lawsuit. In any event, in Nursing Home litigation, (and as in all plaintiff’s litigation), you must keep focus on this main point: the case is a story about right and wrong; we are in the right, and the defendants are in the wrong. From this, everything else follows: the Defendants caused great harm to us, and they should be held accountable for their actions. It is nothing more than simple common sense right and wrong. Do not get lost in the details. I win by getting these stories to the courtroom as quick as possible (with a goal of of 12-18 months). When we demonstrate that we are ready to tell our story, that we know our story, and we can clearly outline it as a simple set of common sense rules, we win. No defendant wants to dispute a clear cut story of right and wrong. Defendants want to muddy the waters and create gray areas. They want to drag then case out and argue about legal technicalities. Remember, stay focused on the story and the simple, common sense aspects of right and wrong. That is how you maximize recovery.